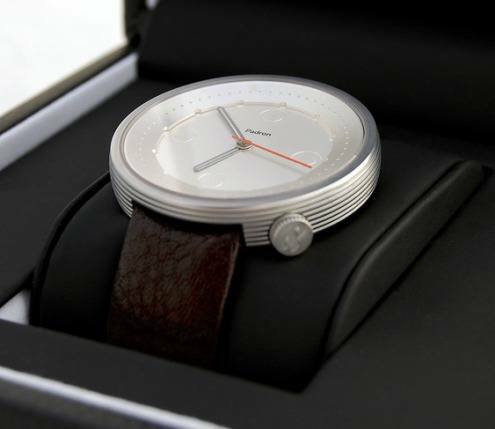 Kickstarter has been good for the Padron Watch Company, so they are back for their third (apparently) successful campaign on the site. 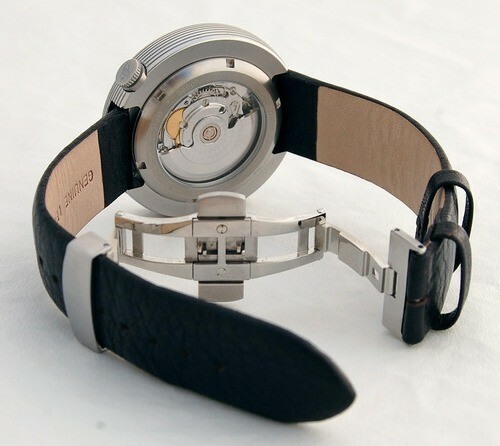 The Hennepin watch is a chose-your-own movement project, with options for Swiss quartz, or Chinese, Japanese or Swiss automatic movements in the watch. In 2012, the hand wound Vuelta was launched, followed by the automatic Tessera in 2013. 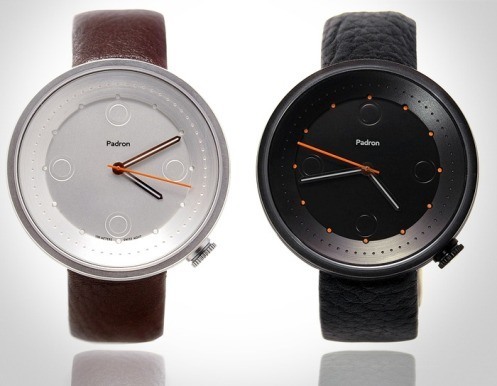 Both these watches far exceeded the funding goal, and with the Padron Watch Co Hennepin hitting funding goals early, so it looks like this will be 3 for 3. The previous two watches utilized Chinese movements, so the current project is offering some nice options. The lowest priced option is a Rhonda 713 quartz, running from $175 to $215, depending on when you pledge. The next step up includes a Chinese clone of the ETA 2824-2, the same movement that was used in the previous watch project, for $349. For an extra $30, you can upgrade to a Miyota 9015 automatic movement. 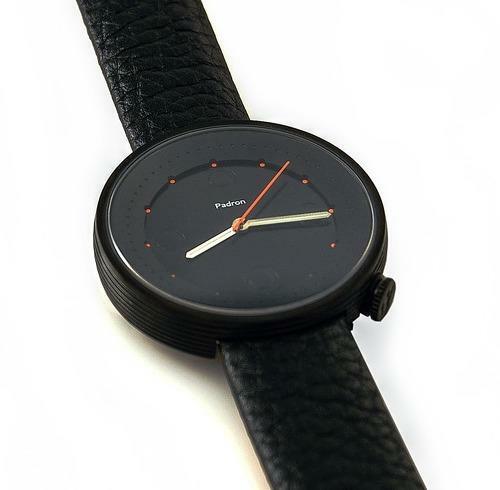 Ten backers also have the option of obtaining the watch with an actual ETA 2824-2, for $589. There are also a number of options for two watches, an automatic and quartz (dad and grad?) or two quartz or two automatics, or… well, there are a few buying options. A final upgrade lets you add a deployment clasp for $12 to the leather strap (worth it in my book). What is common through the line is the basic watch look. The watch is a 45mm lugless design, sitting 10.mm tall, made of stainless steel with a sapphire crystal, superlume hands, and a 100M water resistant rating. You have a choice of the brushed stainless finish or PVD coating. The crown is rotated down to 4:00, and the sides of the case are grooved. The automatics come with an exhibition caseback, and the quartz has a caseback that pays homage to the brutal Minnesota winter of 2013/14. The watch is carrying over one bit of design DNA from the previous two watches, circles for chapter marks at 12, 3, 6, and 9. There is another ring with dots for each hour, and a final ring with dots for each minute. No numbers, no date, just dots and circles. Who we think it might be for: Minimalists. Would I buy or recommend it just on the photos? : Yes, especially the PVD. If I could make one design suggestion, it would be: I know it is in the DNA, but I don’t get the 4 circles. What spoke to me the most about this watch: The black and orange color combo. Previous articleWant Input into a Watch Design? Really sharp, smart looking timepieces. I like Padron’s unique take on watches, and hope they continue to grow as a brand.